Yesterday I caught up with Neil Grime at a bar in my home town of Launceston, Tasmania. Fresh from the Condo 750 Neil is in town as a mechanic for the Targa Tasmania. Here’s the bearded bushranger beating his old horse. It gave me a good chance to chat about the Condo, as well as other tales of things gone and ideas of thing’s that might be. The Condo was harder to follow from a distance then the Safari. The website is not kept as current. Consequently after seeing Rod Colling on the r65 Rooney special perform well in the Prologue, it was some time before I saw the “DNF” for Day One. What I did not know was that he had subsequently been able to carry on for Day Two, where things had turned very rough and tumble, not that Rod remembers much of that. With that drama not far behind a new Mitas ‘segmented’ mousse in the rear tyre turned to dust and joined the red stuff 60km out from a checkpoint. 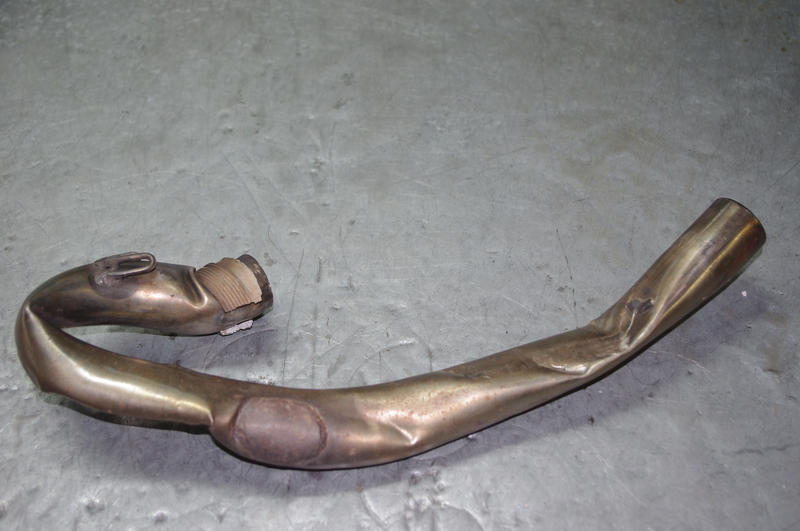 This left the tyre off the rim and with too far to limp home Rod was picked up by the sweep. Hence the DNF. Not to be deterred the team managed to re-join the race on Day Two, albeit from last position. Again things started well for Rod, however when emerging through a cloud of dust while passing a quad bike he found himself quite suddenly removed from his machine which, when the dust had settled, was found some 100 metres away from where he lay. Incredibly Rod was attempting to right himself when help arrived that sensibly convinced him to await medical support. He was as such conveyed back to proper medical facilities where he spent a few hours before joining the nights celebrations! 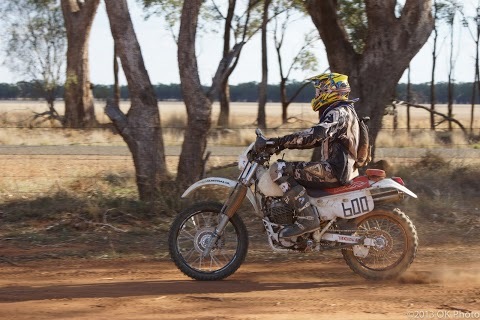 Neil brought the old XR 600 home in a respectable 37th overall position, and is now looking forward to riding the Rooney Special in the 2013 Australasian Safari, while Rod Colling, amazingly not broken or beaten was last heard enthusiastically anticipating the same challenge. Here is a shot of the part of the support team. 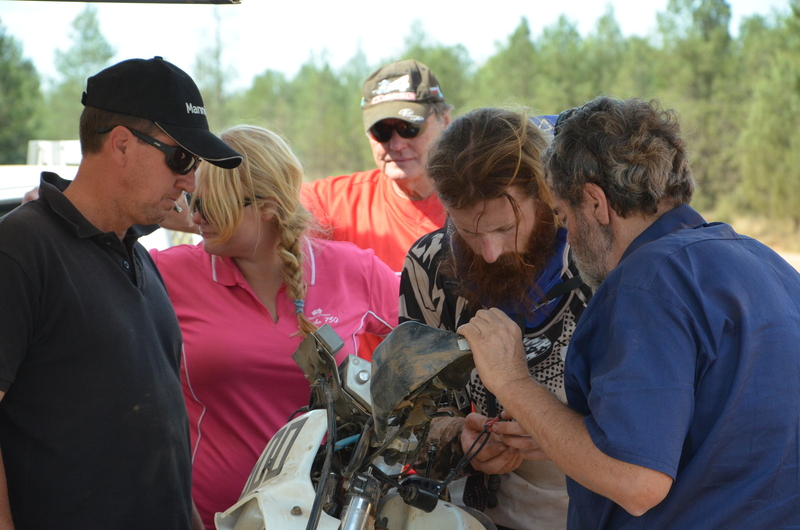 L-R: Graham (2010 r65gs safari rider), Clarissa, Ian, Neil and Paul. So, as Neil summed it up: “That’s Racing”. See you at the 2013 Australasian Safari.